In the past few months since the new year I've been trying out some new skincare products. My main goal for the year was to clear up my skin. It's been a bumpy ride, my skin is very unpredictable. 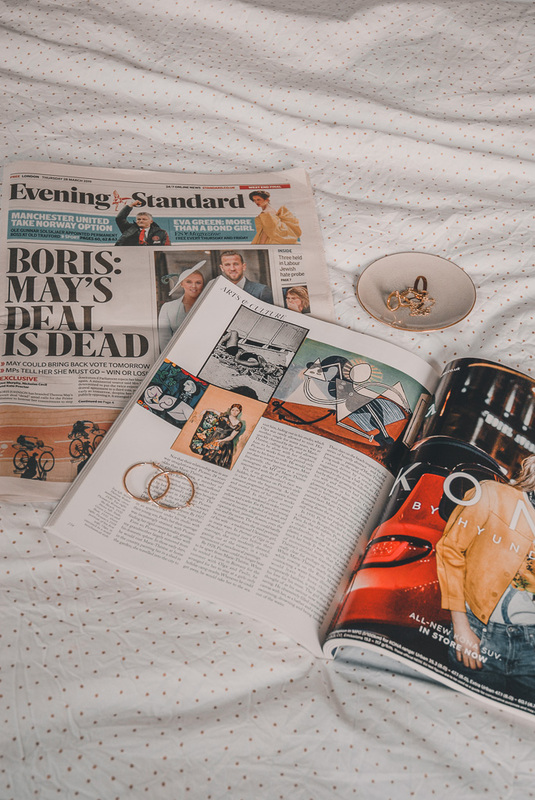 Skipping a couple of steps of my skincare routine on a late night could send my skin into an instant break out. The worst part is that I could be SO close to completely clear skin and they 'Oh, hey period!' and were back to step one.... again. 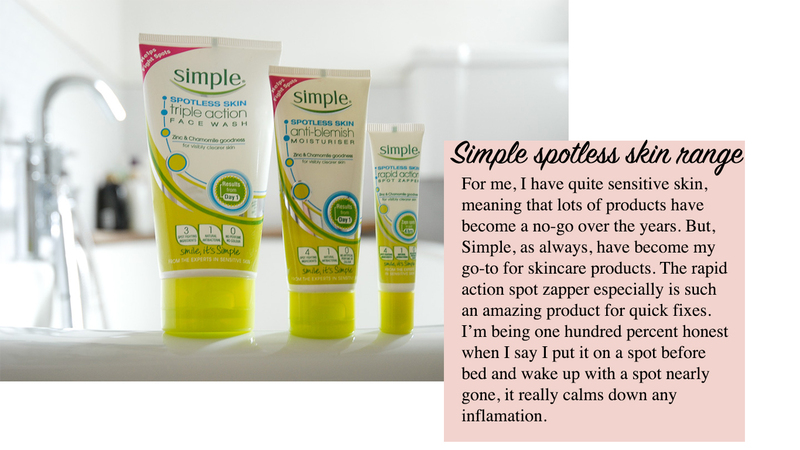 Some of my absolute fave products that I really got back into using in the new year are Simple's 'spotless skin anti-blemish moisturiser', 'spotless skin anti blemish face wash' and 'spotless skin rapid action spot zapper'. Trust me the spot zapper is a solid 10/10. Speaking of brands that are on top of their game for those with sensitive skin... let's talk Clinique. 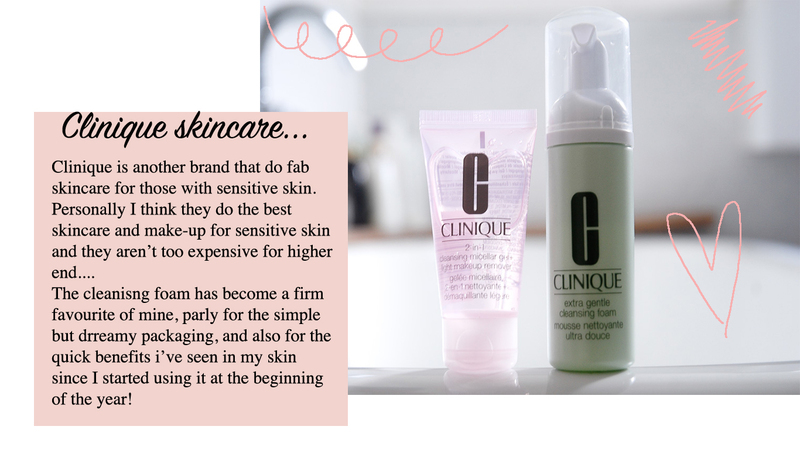 I've always known how great Clinique are for people who have sensitive skin, mainly because my mum also has delicate skin and has always worn (almost) exclusively Clinique make-up. 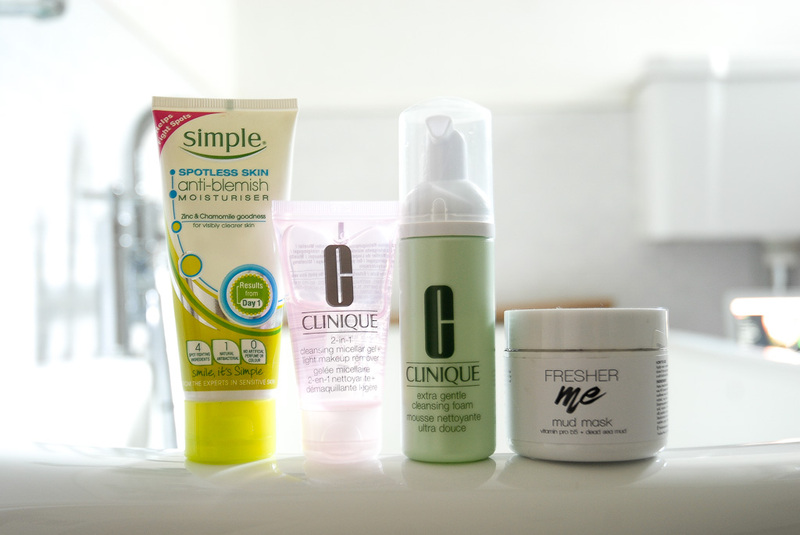 My skin is a lot less fussy than my mum's, though I do often opt for Clinique over other brands. 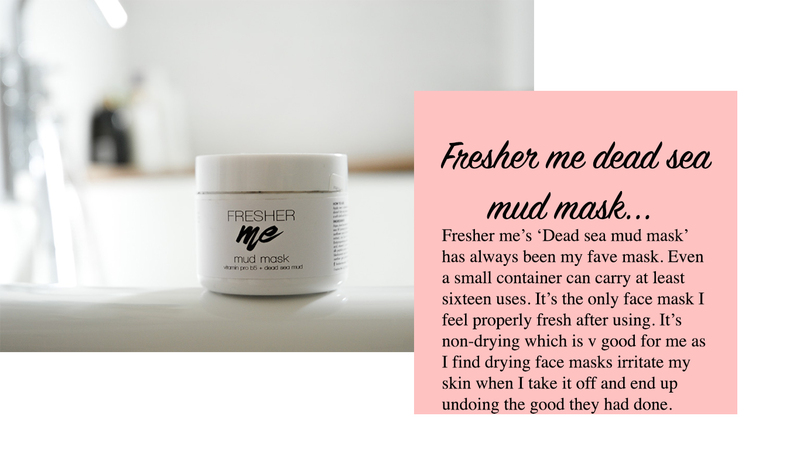 If your looking for something that will burn less of a hole in your budget then 'Fresher me' do some v fab inexpensive face masks. I've worked with then in the past and have found that their product is far better than anything I've ever used before.